Zoho unveiled new Zoho Sheet app for iOS and Android, that allows you to carry your spreadsheets with ease and collaborate in real time with your team, using your mobile devices. You can share your spreadsheets as Microsoft Excel, .pdf or .csv files too. Besides, the new version allows to create large data sets and sort and filter your data for an uncluttered view. Then you can bring your data alive with our vibrant range of charts. View them in full screen, choose to filter out series and analyze your charts with at most comfort and accuracy. Additionally, observe data patterns and trends with conditional formats and icon sets, on your smartphones. Smartsheet, the service providing spreadsheet software that lets people set and manage tasks and work across teams of people, has picked up $52 million. The company currently has about 70,000 businesses paying to use the product, ranging from SMBs through to large enterprises. This works out to around 550,000 licensed customers, and “a few million” people who use it free of charge. 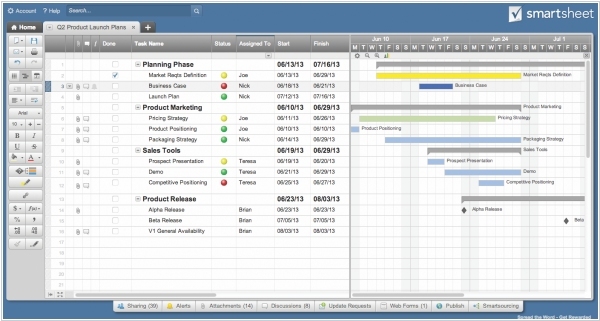 Smartsheet was an early mover in that space, opening up for business in 2006 as an alternative to Google Docs, Excel and other spreadsheet packages on the market, with a firm focus on offering a way for multiple people to collaborate in those documents to use them more dynamically. On the occasion of its 5th birthday ONLYOFFICE announced the launch of the free SaaS version ONLYOFFICE Free Cloud. It includes mail server to create corporate mailboxes, 2 GB of Amazon cloud storage space, online editors for text, spreadsheets and presentations, Calendar, Chat, Feed and Mail Aggregator, and 5 full-featured modules: Documents, Projects, CRM, People and Community. ONLYOFFICE Free Cloud is listed on our new website – www.onlyoffice.org - where you will find the information about all the solutions provided by ONLYOFFICE at no cost. 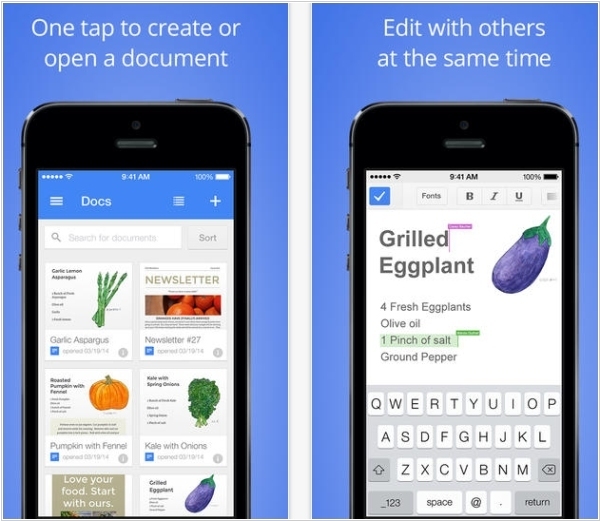 Until now, all Google's document editors for mobile devices were available in the single app called Google Drive. Ok, they remained there, but recently Google also launched standalone apps Google Docs and Google Spreadsheets (for iOS and Android). The presentation app is coming soon, and will be called not Google Presentations, but (for a change) Slides. Maybe, you could think that thus Google wants to unlink the editors from Google Drive and let users edit files not only from Google Drive, but any other documents stored on your smartphone/tablet. But no! In the new apps you still can't open a document without uploading it to the Google Drive cloud storage. So for while there is not so much sense in these standalone apps.